Making the Arctic and the Antarctic Personal: An Interview with Oceanwide Expeditions – Breaking Out! We don’t want to give anything away, and they’ll do a much better job at telling their story, so let’s hand the “mic” over to them. Could you please tell the readers in a few words what it is that you guys at Oceanwide Expeditions do and what makes your company special? 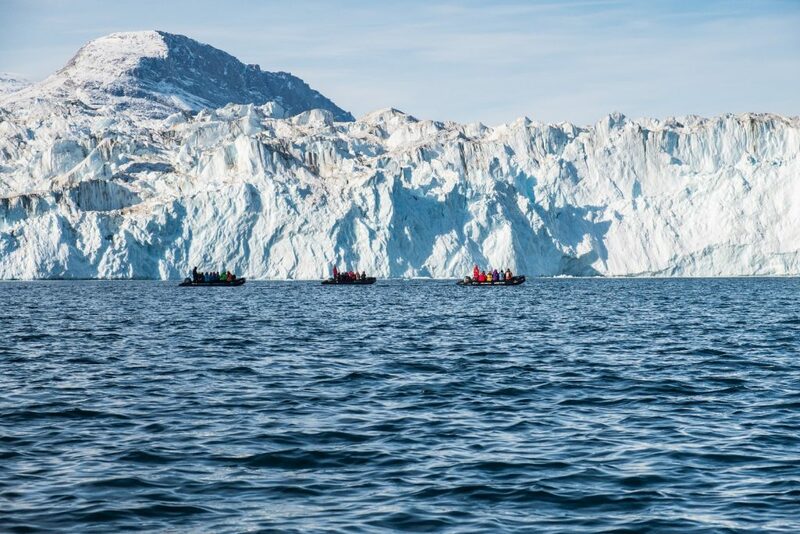 We run small-scale expedition-style cruises that focus on maximum contact with the polar terrain and its wildlife. Our two largest vessels hold only around a hundred passengers, and our smallest two hold between twenty and thirty. This modest scale gives us the advantage over many of the larger vessels, specifically those that carry more than 200 passengers, since by law ships of that size cannot venture into some of the areas we can. Also, because of our small, nimble fleet, we’re able to deploy highly flexible itineraries capable of moment-by-moment response to the rapidly changing polar weather conditions. Because of this, our passengers get the utmost shore time. They don’t spend any more hours on the ship than absolutely necessary, so they don’t miss out on anything. The types of experiences that you offer are quite unique and definitely out of the ordinary. How did this all start? Our first owned ship, m/v Plancius, was a research vessel operated for a time by the Dutch University of Groningen back in 1983, focusing on the Norwegian archipelago of Svalbard. A principal member of that program, Ko de Korte, was deeply involved in the formation of Oceanwide Expeditions, and he’s still part of the company today. It was not until 1993, however, that Oceanwide officially did form, chartering a small former Russian research vessel accommodating around 50 passengers. By 2009 we acquired Plpersancius, which had originally been a research vessel for the Royal Netherlands Navy, and renovated it as a passenger cruise ship. We continued its regular trips to Svalbard. Since then we’ve bought and refurbished several other former research vessels, including m/v Ortelius and m/s Rembrandt van Rijn. Our upcoming ship, m/v Hondius, which we launch in summer of 2019, we are especially excited about. It’s the first in our fleet that we have designed from the ground up, so it is precision-engineered for the polar environment. What amazes people the most during your trips? Is there any particular sight that really wows your customers? I think most people come on our trips for the wildlife. Naturally, the landscapes are enough to keep your eyes popped and jaw dragging on the ground, but it’s the birders and whale watchers and the people crazy about Arctic foxes that really get enthusiastic during our voyages. And if I were to hazard a guess, it’s probably the penguin colonies and polar bears that are neck-and-neck for the most amazing sight on our trips. I don’t think it divides our passengers into Arctic vs. Antarctic teams or anything, but these two animals are definitely emblematic of the regions we visit. There’s just nothing like seeing a polar bear in person. The majesty of that animal is humbling, sometimes frightful even. You get the sense you’re witnessing one of the Earth’s most perfect and powerful creations, a miracle of biological design, like nature’s version of a race car or tower crane. 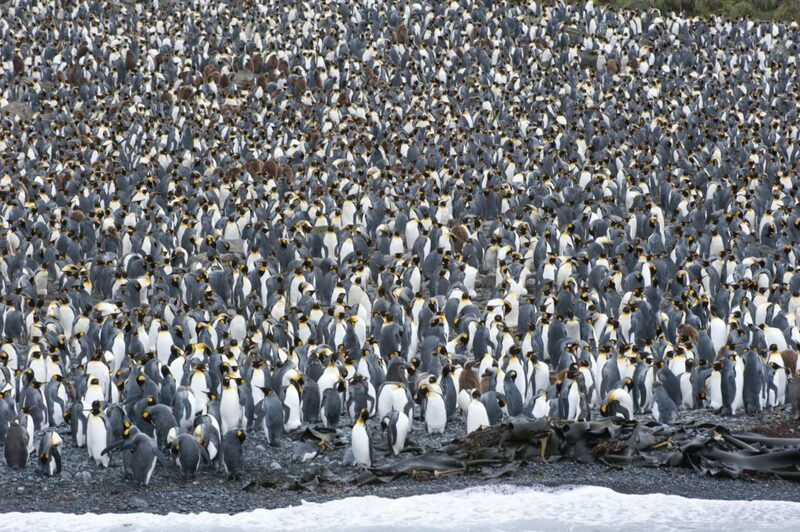 But also, to gaze over a penguin colony and see almost no end to it, a colony containing numbers larger than most towns, is equally astounding. How obvious are the effects of climate change in your work? Are there things that have changed considerably since you first started organizing trips into the polar regions? Yes, there are several captains and guides that have been with us long enough to have witnessed the changes taking place. It’s a sad thing, tragic, but we feel that introducing new people to these places has a positive impact in this regard. Obviously our passage has its own impact, which we do our best to minimize, but if enough people see these regions for themselves, they also see what’s at stake. The landscape and animals become something personal to them rather than abstract notions, unreal things too remote to care about. As for how changing conditions have altered our trips, it has actually opened up certain places we were unable to go before. Of course, in recent years we’ve also had a few regular routes closed by ice, so it’s just something we have to keep an eye on season by season. What do you consider your flagship tour or cruise? To put it another way, if somebody can pick any one, but only one, experience that your offer, which one would you recommend and why? Ah, now for the difficult questions! I’ll have to answer this one in a few parts. 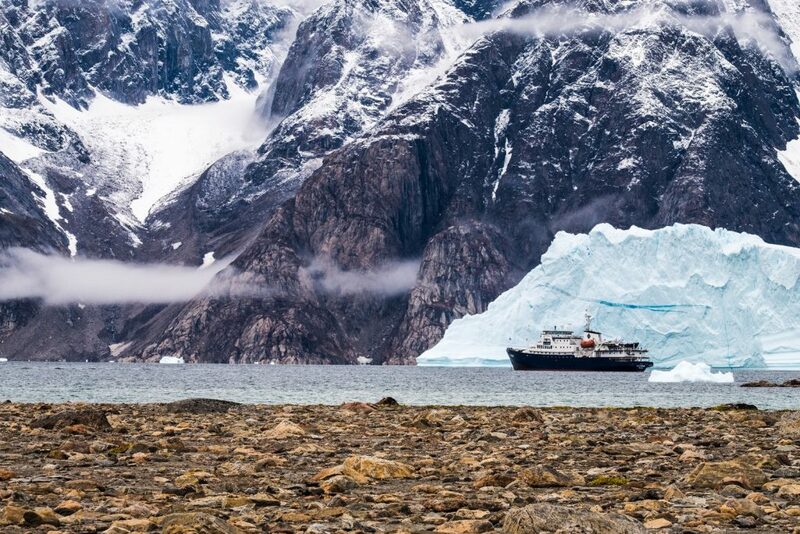 Our Greenland cruises that visit the Northeast National Park are incomparable, and I could say the same about our South Georgia voyages. 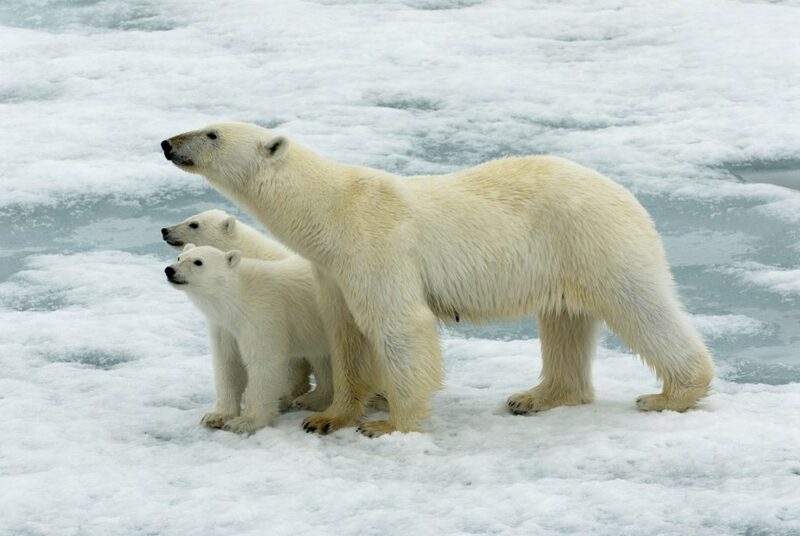 But personally, it’s hard not to recommend our Basecamp cruise or Polar Bear Special. 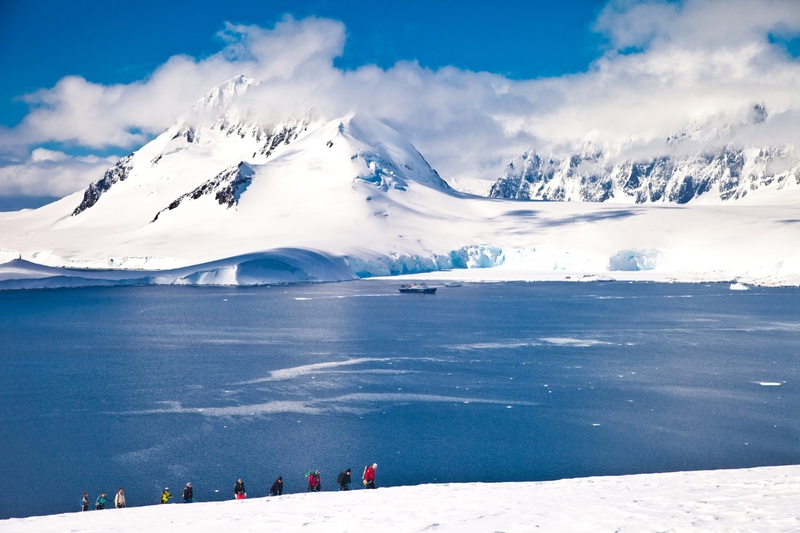 On one hand, the Polar Bear Special is very accessible and great for people making their first polar trip, but our Antarctica Basecamp voyage offers virtually every major polar activity you can take part in: hiking, kayaking, mountaineering, camping, photography workshops, you name it. We innovated the Basecamp cruise concept ourselves, and it’s one we’re very proud of. During this trip, the ship stays in one spot and serves as a staging point from which all the activities embark. This is a highly active cruise designed for those who really want to get out in nature and take part in a polar adventure. You are always free to choose which activities you partake in, of course, but there’s less ship time on the Basecamp cruise than most of our other trips. Finally, I think it wouldn’t be too much of a stretch to assume that most people would probably prefer a vacation on a sunny beach with warm water, palm trees and cocktails. What are they missing out on? The instinct to opt for luxurious warm-weather trips is totally understandable, but what you usually lack on those kind of vacations is a sense of adventure and discovery. Anyone who’s ever been even slightly stirred up by the stories of the world’s great explorers, or who’s ever daydreamed of venturing into the unknown territories of the world, will identify with what our cruises have to offer. When you sail with us, you’re not coming for the silk bed sheets or elaborate cocktail umbrellas or cuisine that looks like it should be served up on an art gallery wall – although our guests are always pleasantly surprised with the comfort our ships have to offer. You come to the polar regions for the polar regions themselves: the titanic glaciers and blazing blue icebergs, the endless sweeps of wind-carved snow, the stalking polar bears and spouting blue whales and scores of penguins who are as curious about you as you are about them. This is more than a vacation you relive once or twice in pictures, it’s a grand adventure you’ll talk about years after you’ve gone back home. ← Want Something Different? Go on a Whale Watching Tour!